applications for volunteer firefighters until April 29, 2016. Besides being a great way to serve one’s community, being a volunteer firefighter has a number of benefits such as expert training, professional development and an annual honorarium. Volunteer firefighters may be called upon at any time – 24 hours a day, seven days a week – to respond to various types of emergency situations. In addition, they will be required to dedicate a specific number of hours per month to training, fire station duties and meetings. Successful candidates must also complete a recruit training program followed by a 12 month probationary period, during which time the candidate will undergo ongoing training and testing. 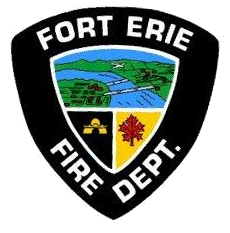 Additional information about the recruitment process, qualifications, an application form and instructions can be found at www.forterie.ca. Only those persons selected for an interview will be contacted. Applications will be accepted until 5 p.m. on Friday, April 29, 2016.